Bright and early on Tuesday morning, planners convened to discuss One Water Planning and mark the launch APA’s newest Interest Group, the Water and Planning Network. The mission of the Water and Planning Network is to provide a professional forum for the interdisciplary exchange of ideas and planning methods. It provides a forum to share your work, connect with other planners and water resources professionals, and generally engage in conversation around water issues. The session also highlighted One Water Planning and the need to develop mechanisms for interdisciplinary collaboration between planners and water resource professions. APA has affirmed water as an organizational priority. 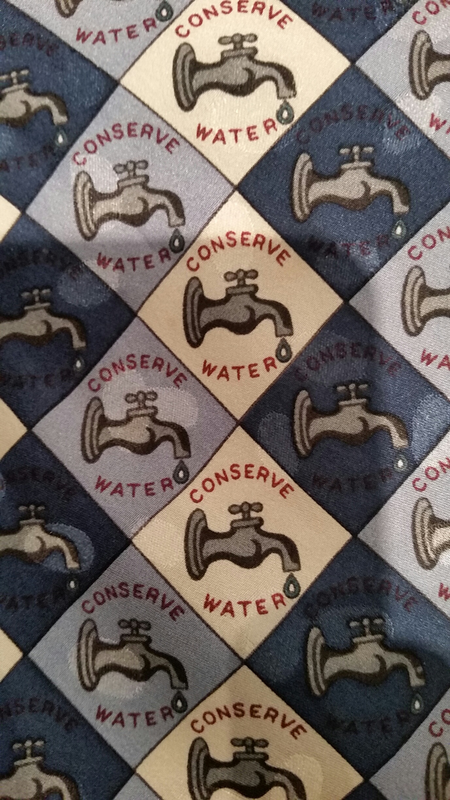 Dan Van Abs brought his Conserve Water tie to the One Water session. Photo by Anna Read. Water is the earth’s most essential and ubiquitous resource and is a central element of the built and natural environment that requires focused attention by planners. APA’s commitment to help planners manage water resources more sustainably requires new tools, new means of networking and knowledge transfer, and expanded resources. Bill Cesanek, AICP, described the work of APA’s Water Working Group to address the connections between water issues and planning. This included sharing the Water Survey Results and addressing the need to help planners address water challenges across scales — from the local to the megaregional. Dan Van Abs, AICP, addressed the role that planners play in relation to water, saying “all land use planners are water resources planners” and emphasizing the connections between land use decisions and impacts on water resources. He further highlighted the need to make considering the full life cycle of water (precipitation to precipitation) part of normal planning practice. 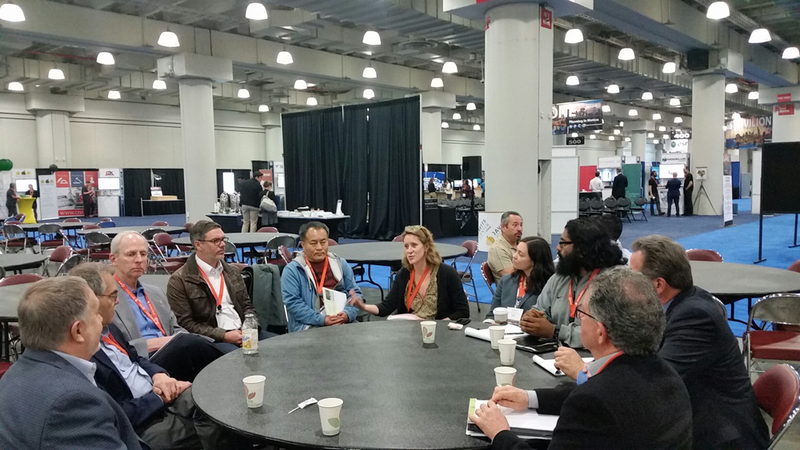 The need for partnerships and coordinating cross-industry relationships between planners and water professionals was addressed by Danielle Gallet, who said it can start with the simple step of taking a water utility manager to coffee. Conference attendees continue the conversation on the Water and Planning Network following the One Water Session. Photo by Anna Read. If you’re in DC, join us June 20 at 5:30 p.m. for Tuesdays at APA on "One Water: Coordination Efforts for Sustainable Communities." Top image in the public domain. Anna Read is a senior program development and research associate at APA.